The wide receiver room might be the deepest the Florida Gators have, and it is certainly one of the most talented. 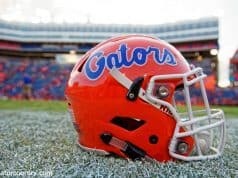 With players like Van Jefferson, Josh Hammond, Freddie Swain, Trevon Grimes, Tyrie Cleveland and Kadarius Toney headlining the show, Florida has a number of options at its disposal at all times. And all of them provide something different. That is huge for continuing to build the confidence of quarterback Feleipe Franks. Knowing that he can throw it at any receiver on the field rather than searching for that one guy who can go make a play makes Florida’s passing game all the more dangerous. But the players mentioned earlier aren’t the only viable options. 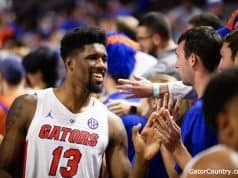 Guys like sophomore Kyle Pitts and redshirt freshmen Jaylin Jackson and Jacob Copeland (once he’s healthy) are also working for a spot in the rotation. That means every day is a competition, and it will continue to be that way through fall. No one can afford an off day because there’s someone else right behind who could easily replace them. With that being said, there is room for playing time for all of them in 2019. 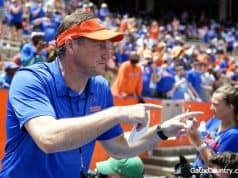 Mullen has made it clear that the Gators will spread the ball around just as they did last year and fresh bodies will be kept on the field. Some will get more snaps than others, but with so much depth, there is no reason to play anyone to the point of exhaustion. 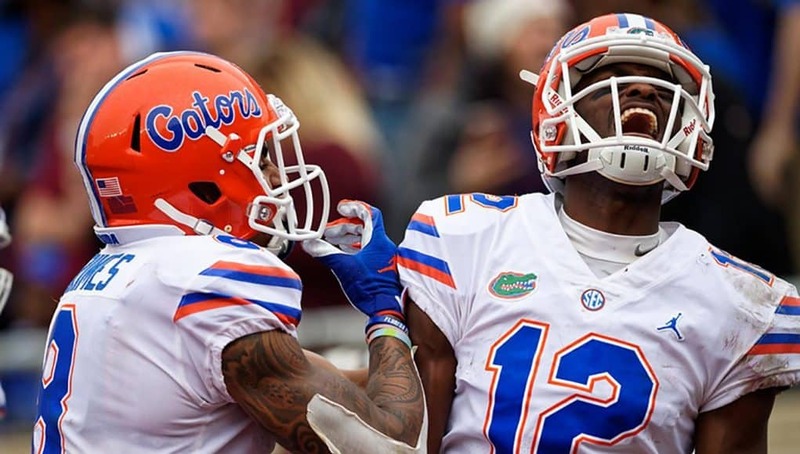 Florida’s receivers understand that their individual stats might not lead the SEC, but this system gives them a chance to make better plays when the ball does come their way.